Have you ever had a series that is widely loved and talked about that has completely failed to connect with you? 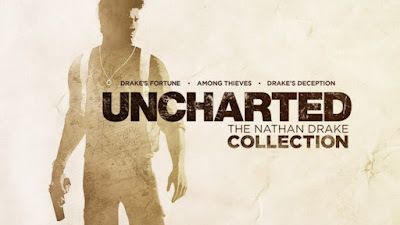 I've had it happen a few times, but the most recent event that brought it to mind was the release of the Uncharted collection. I've had chances to get into the Uncharted series before and every single time I've picked up the controller and played the game I get bored within ten minutes. The Uncharted Collection on PS4 would be the perfect time to jump back into the series and get caught up since it has the first three games in one package. Which is why I downloaded the demo to check it out. And again, within 10 minutes I was bored with it. I should like this series. I love a good platformer and good shooters. It looks like a blend of a decent third person shooter and the platforming of Tomb Raider or Assassin's Creed, both games that I've liked. But it simply fails to connect. I'm not sure why this happens, but it seems like most gamers I've talked to have had this same experience. There's a huge game series that seems universal and you just can't get into it for whatever reason. Have you had it happen? What was the series for you that failed to connect? Definitely is a thing with me and Halo. Just found it to be Doom with an even weaker attempt at a narrative. It's interesting how it's a fairly universal experience, but it's a different game for everyone. You didn't play Halo if you think it is DOOM. The level design in Halo 1 remains incredible to this day. The first stages are all open world goodness in a FPS. The only thing close, in my view, is the original Farcry. For me it's the Elder Scrolls games. Fantasy RPGs are usually my jam, but I always felt overwhelmed by them. Also, turned off by things like enemies scaling with me and ugly character models. I think Skyrim got somewhat better with the enemy scaling and the visuals, but I definitely felt the same way about Oblivion. I can also understand the overwhelming nature of giant open world games.